Concordia Student Union General Coordinator Omar Riaz is already looking at the next step in his career as a politician—the 2019 federal elections in Montreal’s Ville St. Laurent borough. Riaz, an immigrant from Pakistan, has lived in Ville St. Laurent for most of his life. He has gone to school there, served with the Royal Canadian Air Cadets, and has volunteered at a variety of institutions, such as the ABC Centre in St. Laurent, at Vanier, and Lauren Hill Academy. He decided to run with the Liberal party in the federal elections because a lot of his ideas align with theirs. 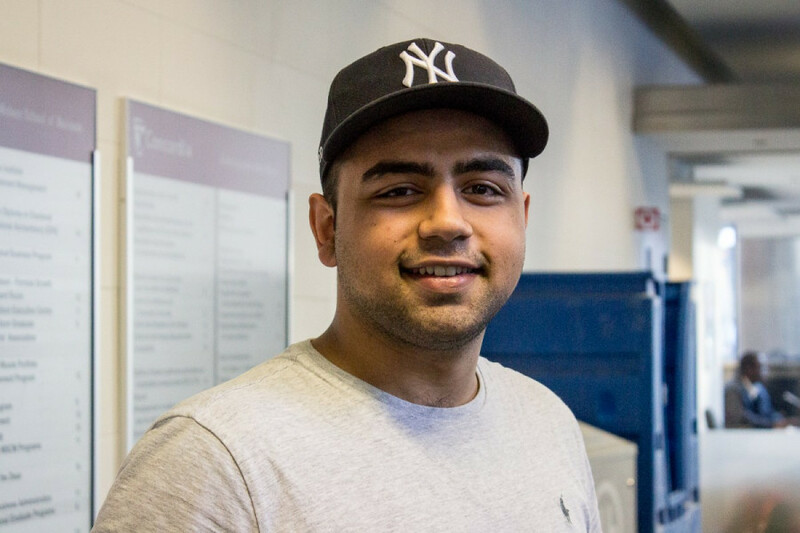 With his experience as president of the Vanier College Student Association, and CSU general coordinator, Riaz thinks that he’s the best person to represent students and young voters. As president of the VCSA, Riaz began and saw through projects, such as campaigning to get a football field built, starting a student run cooperative café, and introducing a healthy eating policy. However, his time at the CSU has been controversial. Riaz was publicly scolded, issued warnings and mandated to apologize to the student body for taking gifts. “I am also young, I have a lot of time to learn and making mistakes is part of the processes,” he added. He also hasn’t started any projects with the CSU aside from an attempt at buying a building to use as student space, but he added that there’s still time left on his mandate to start something. Riaz believes that his experience managing ongoing projects, such as the housing cooperative and the daycare, have been successful. Riaz said that being one of the younger candidates will give him an advantage with student voters as he hopes to build his campaign around student issues. “I understand what it is that [young voters] need,” he said. “I’ve acquired the skill to be a good listener and I’m able to listen to the people and represent them. One of the main issues he wants to bring forth is support for students after they have graduated. “Being able to find a good job, having the opportunity to develop professionally, financially, [which] leads into food security, housing, personal and psychological well-being,” Riaz explained. He added that he would like to emulate a project called the Ontario Student Assistance Program which is a program students can apply for in order get free higher education. This isn’t the first time Riaz has thought about running in Ville St. Laurent. In January 2017, Stephane Dion resigned from his position as St. Laurent member of parliament. Although Riaz felt he was ready for the job, he did not run as he thought he was not properly prepared to start a campaign. Emmanuella Lambropoulos ended up running and winning the Liberal party seat in St. Laurent. In order to be nominated as the candidate for an electoral district, the members of the political party will hold a general assembly, at which they will elect a new candidate. According to Riaz there are 2000 members in St. Laurent, and they will decide on who the official candidate will be. He added that a nominee needs at least 50 per cent of the vote in order to become the candidate.